Neither of us expected the other to be there. I jumped in surprise at something unseen fluttering about my face, instinctively (and rather comically I’m sure) flailing my arms like a mad woman, while the butterfly, also surprised and momentarily confused (can you blame the poor thing? ), fluttered wildly between the narrow opening of the vertical blinds and straight into my dining room, where it finally settled on the bottom of the blinds. Once she and I regained our composure, I offered her a spot of chamomile tea with several drops of wildflower honey, which she gladly accepted. We had a short chat before she was off again, in somewhat of a hurry it seemed, to purchase a brand new pink hat (because, in her opinion, hats on butterflies are never a mistake). Clouded Sulphurs are pretty yellow butterflies. At rest, with their wings closed, they are a beautiful, pale yellow colour, with a delicate pink outline around each wing. In flight, with their wings open, they are a vibrant bright yellow, with stunning black edges around their wings. Most of the yellow sulphur butterflies look very similar—the tell-tale marking of a Clouded Sulphur is a row of three black dots on the underside of each wing. I’m always thrilled when a butterfly visits my high-rise balcony garden—it’s so high above the ground, it’s always a wonder to me how they ever find my little garden. But, however they find my flowers, I’m so happy that they do! This is beautiful! Just as cool as the birds feeding out of your hand! I can relate to ‘flailing my arms like a mad woman’ – all the more so when there is an unexpected, pleasant surprise :) Thank you, thank you for brightening my day! they are not obvious to prende pictures. Have a nice sunny week. 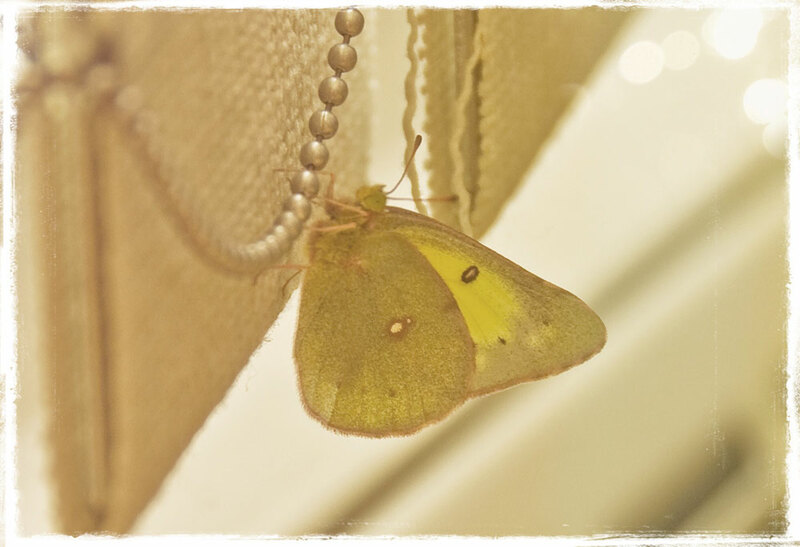 We had so many Yellow Sulphur Butterfly in the garden.. I can’t remember if I saw the black dots or not. I really love the first picture, the mix between purple and yellow is quite pretty. I love the encounter and how you share a drink with it ;-) So cute :-) Have a nice week, Jeannie ! I finally got to this post. What a sweet story, love it. 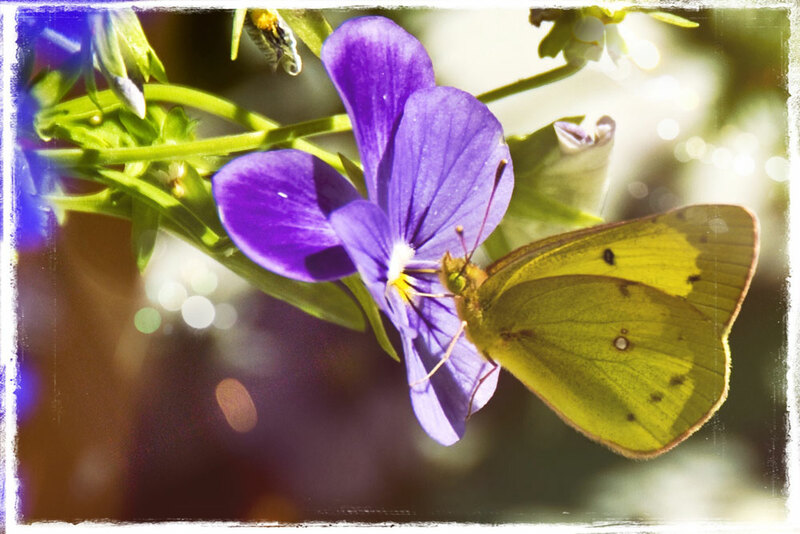 Late last summer, my husband and I went for a little nature walk and came upon many of these yellow butterflies. I love butterflies so much, but strangely have a terrible phobia of caterpillars.